The Miss America 2018 pageant is just around the corner, and fans are excited to find out who will take home the crown! One of this year’s contestants is Alyssa Beasley, Miss Georgia 2017. If you want to know more about her, then take a look at our Alyssa Beasley wiki. September 10, 2017, will be a night of lively competition as the Miss America pageant will take place at Boardwalk Hall in Atlantic City, New Jersey. The beauty pageant will air on ABC at 9:00 p.m. EST. Everybody is excited to see who will take home the title this year. Contestants from each state are doing their best to be Miss America 2018. One of them is Alyssa Beasley, and we have everything you need to know about her, right here! Alyssa Beasley’s age is 19 and she is from Brunswick, Georgia. Currently, she is an exercise science major at the University of Georgia. Alyssa Beasley’s family is extremely proud of her accomplishments with her parents, Paula and Craig Beasley, and younger sister, Hailey, at her side. Beasley always put education first, and boasts a 3.92 GPA! Beauty and brains! To further pursue her passion for dancing, Beasley worked as a choreographer and taught dancers in her local studio. She has also served as Miss Golden Isles, where she realized the importance of starting a platform and living it out completely. She truly wants to be a role model for others. The talented lyrical dancer even has her own YouTube channel. Unfortunately, Alyssa Beasley’s Instagram account is currently private, so you will not be able to see her pics. Beasley is also highly involved in local community work. She actively contributes to her church by serving in clean up programs, helping with children, and serving abroad to The Spanish Wells and Puerto Rico on mission trips. As a junior and senior in high school, she was a member of the Fellowship of Christian Athletes and also volunteered at the Glynn County Humane Society. She was nominated for Homecoming Queen in high school. Beasley emphasizes a lot on the importance of education. 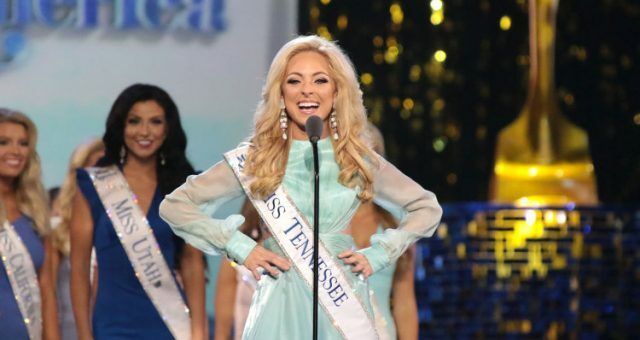 According to her Miss America 2018 bio, her goal is to get a Doctorate in physical therapy, and own a rehabilitative dance and fitness studio. Besides the title, she also received $17,500 in scholarship funds and will compete in Miss America 2018 pageant! 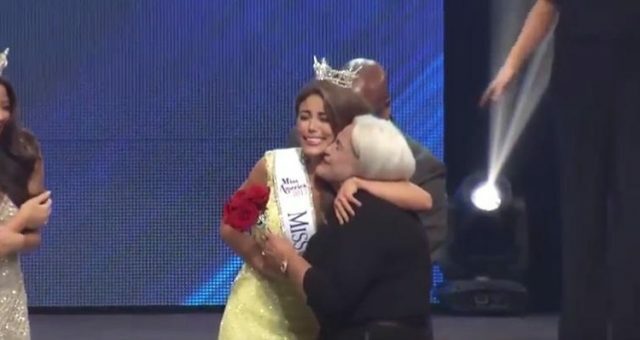 After the ceremony, Beasley said, “I am nervous, but also very excited [about the year ahead],” further adding, “I have worked very hard for this, and it is such an honor to be able to represent this state and to be able to present my platform.” She also competed in the Miss Golden Isles 2016 where she was the second runner-up. Miss America 2018 Live Stream: What Time & Channel Does It Come on?